Kuwait, 11 November 2017: The Promenade, the neighborhood destination in the heart of Kuwait, has demonstrated its commitment to local causes and its support for community-led initiatives by partnering with RunKuwait, an annual charity event by the Fawzia Sultan Healthcare Network to raise funds for disabled children. The Promenade is platinum sponsor for RunKuwait 2017, which will see thousands of residents and citizens, old and young, coming together for the run from 7am on Saturday, 11 November, for a fun-filled fitness carnival, and participate in either a 5km or 10km run/walk along the corniche. Participants have been registering at the RunKuwait booth at The Promenade and collecting their t-shirts. At RunKuwait, the participants will gather for a group workout before embarking on their run or walk. Starting at the Scientific Center, participants will walk or run 5km or 10km along the corniche to the finish line. In addition to sponsoring the event, The Promenade will also participate at the event and will be hosting competitions for chances to win prizes. Social responsibility is vital part of The Promenade’s mission and values, and supporting local initiatives and children’s causes is important activity for the brand. The Promenade takes great pride in being a community destination, in tune with its customers, and being at the heart of what matters to the community. The Promenade wishes the best of luck to everyone taking part in RunKuwait on Saturday and urges anyone not signed up to register and join in the fun and contribute to a worthwhile cause. Since launching in 2013, funds raised from the annual RunKuwait event have been channelled towards the Children’s Evaluation and Rehabilitation Center (CERC), which serves children with disabilities. 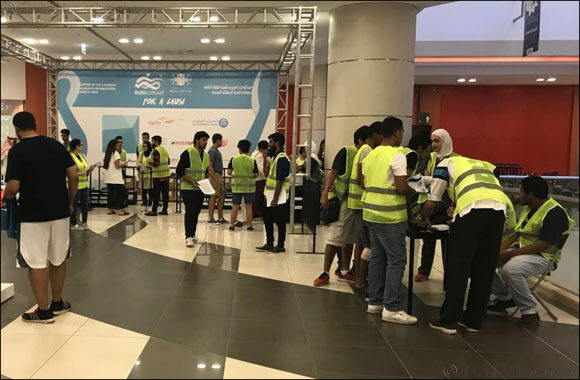 With the help of race participants and the RunKuwait sponsors, as well as other corporate and individual donors, Fawzia Sultan Healthcare Network (FSHN) has been able to provide free services to 20 per cent of the children, and largely subsidize the care of 60 per cent of its young people.